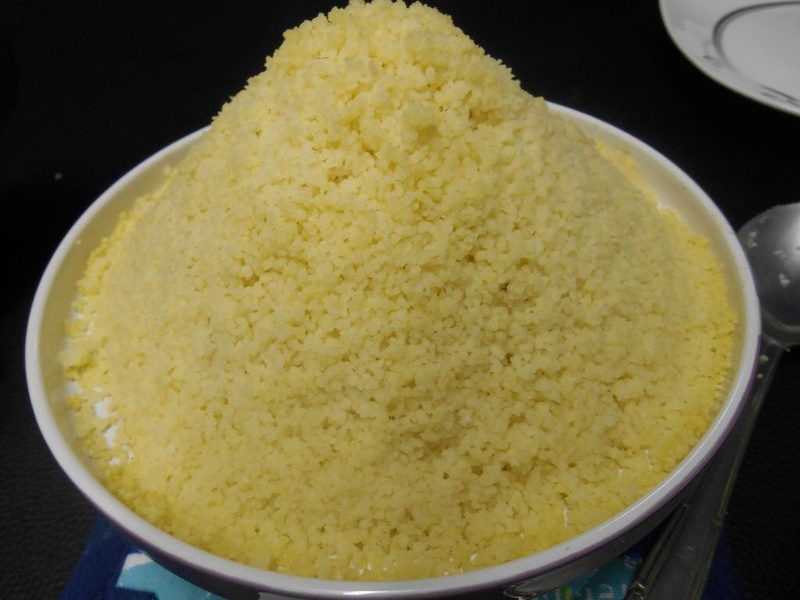 I finally decided to try preparing this dish , I alway see the couscous box and say to myself ‘ I want to try this one Day ‘ and that one day is today finally . 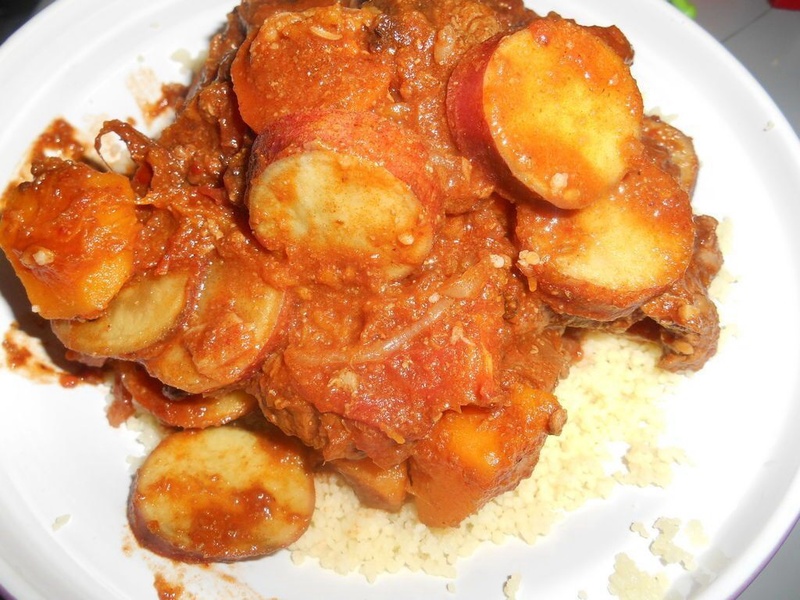 A while back when I was still a working class , 1 of my colleagues were Moroccan and every now and then On Fridays she use to prepare this couscous dish in a tagine filled with veggies and meat , this use to be yum ! I may explain 🙂 so I decided to give it a try . 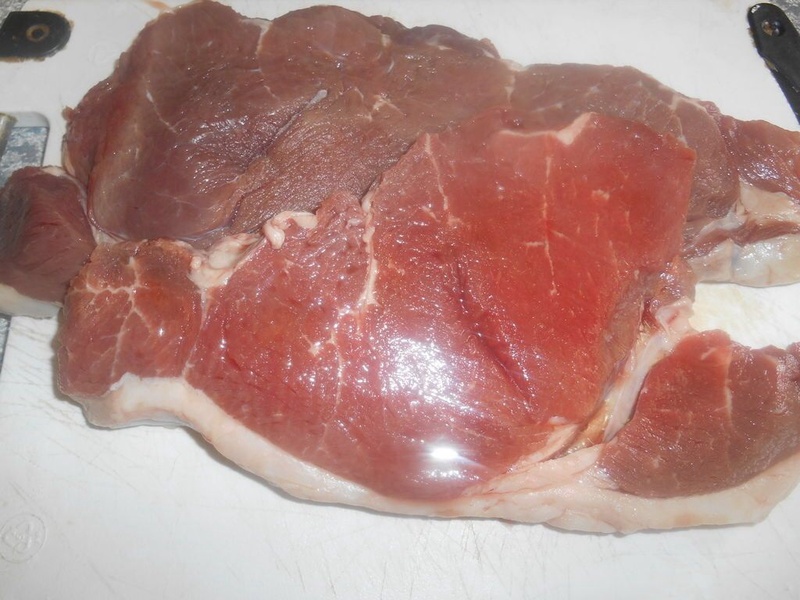 Wash clean and cut meat . 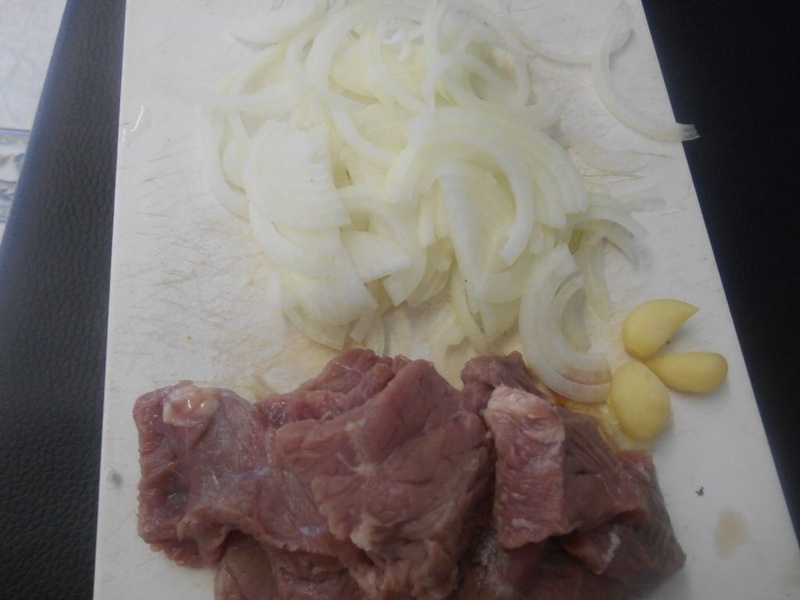 Sliced onion and prepare the garlic cloves . 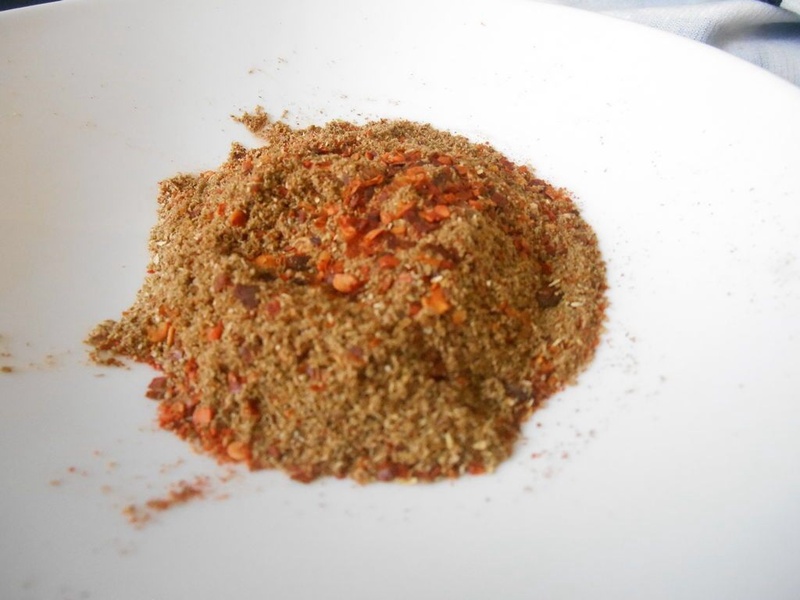 Prepare the spices by mixing everything together and adding this to the meat . 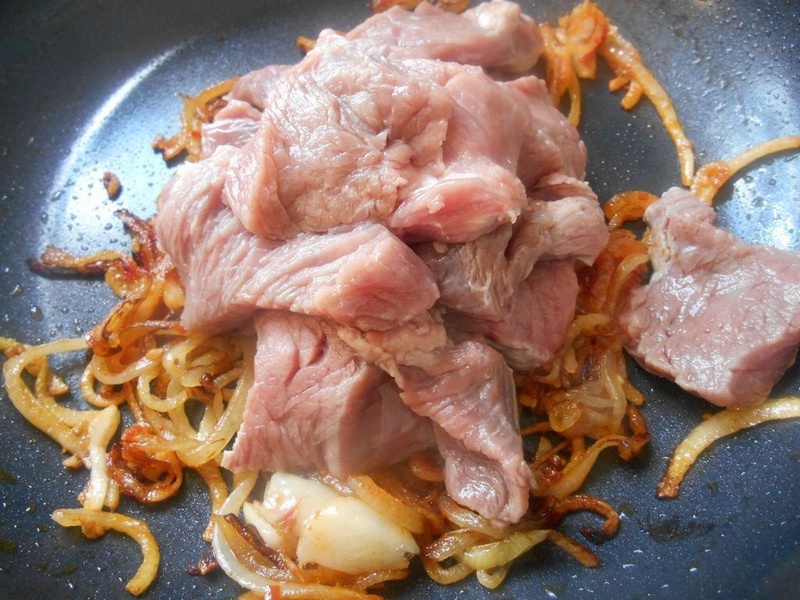 Allow meat to cook , let all the water burn out , if necessary add more water and cook further until meat is tender . 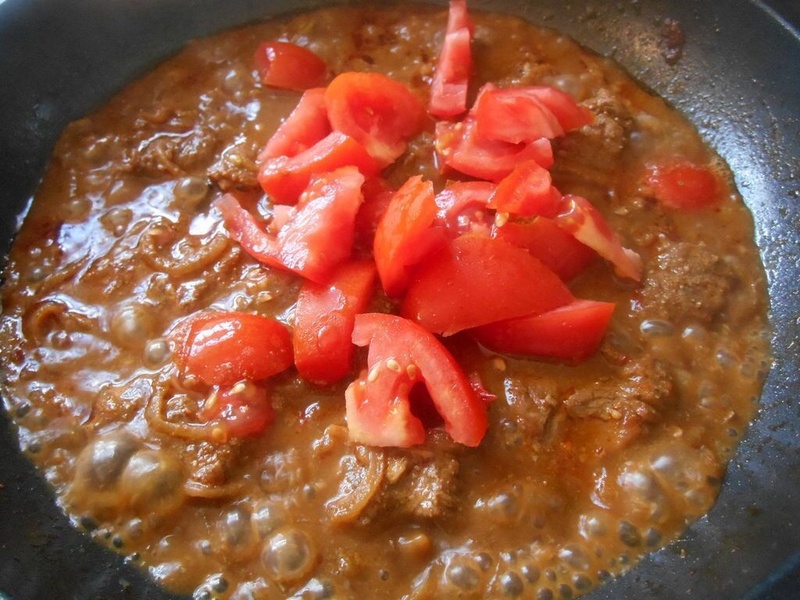 Now add the 1/2 chopped tomatoes and tomato paste , allow to cook for atleast 5 minutes . 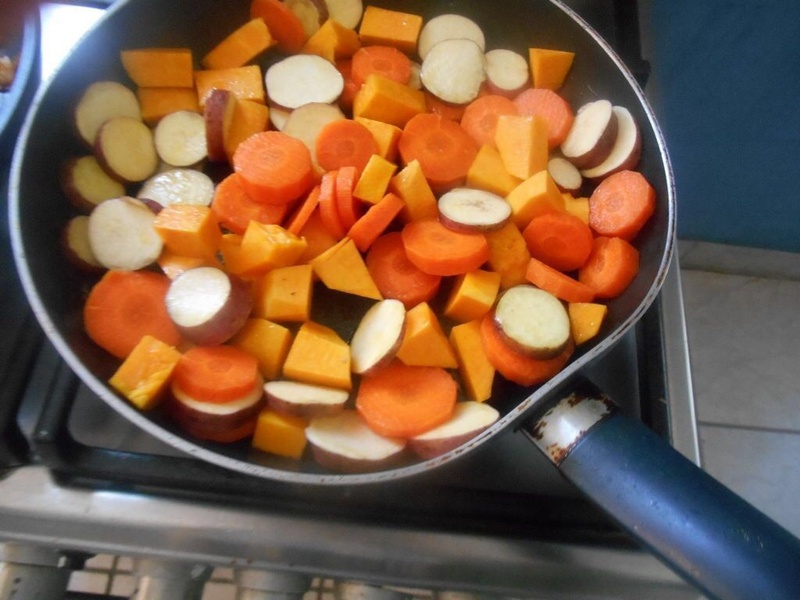 In the meantime , steam the veggies in a saucepan until nearly soft . 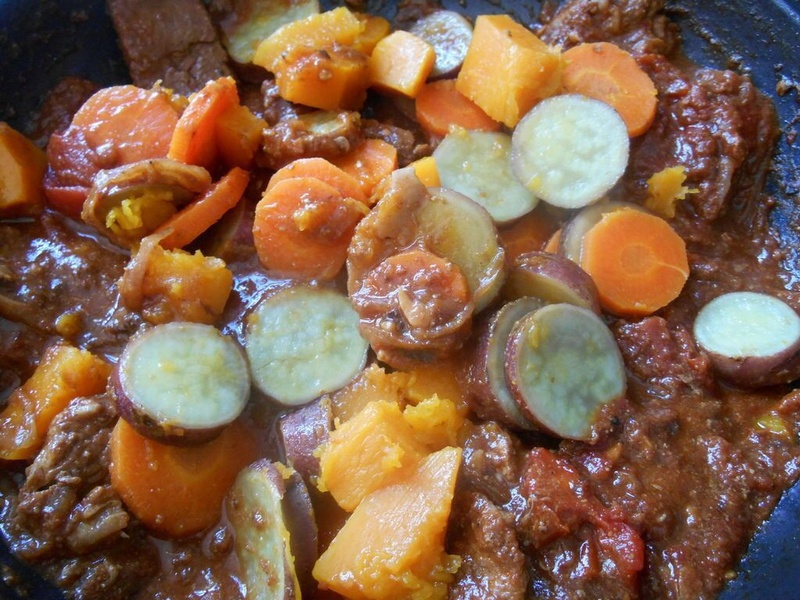 Now that the meat and veggies are cooked , add all the veggies into the meat and mix this well . 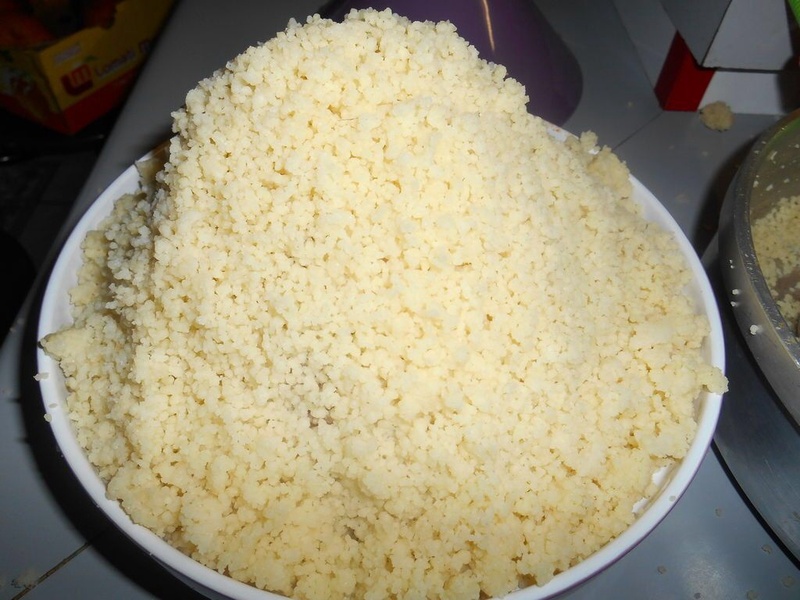 Steam couscous as per box instructions either in a pot or a tagine. 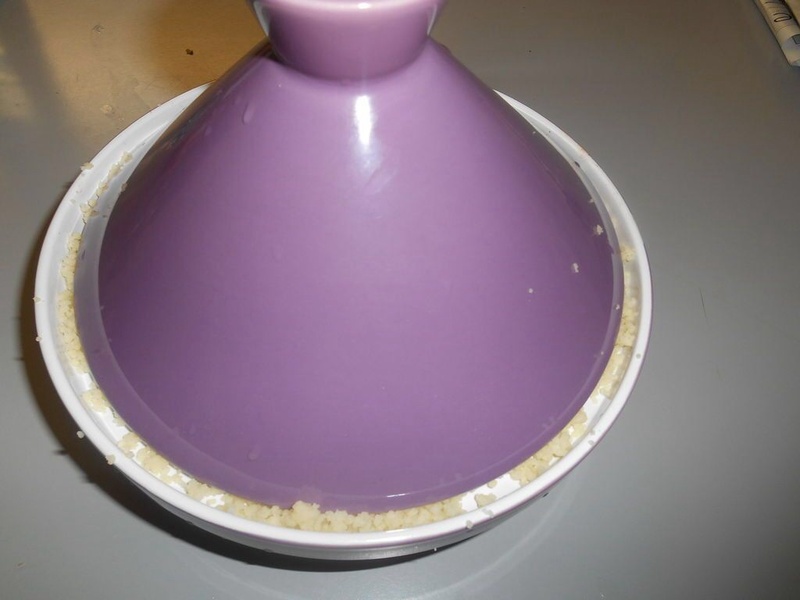 If you have used a tagine remove the whole top layer of couscous in a bowl . Now layer the meat and veggies that you have prepared into the middle and on top of the couscous . Take the remaining couscous and cover the meat and veggies . Close the tagine or the pot you using , in a preheated oven place the tagine , heat for 5 to 10 minutes and this is ready to serve .